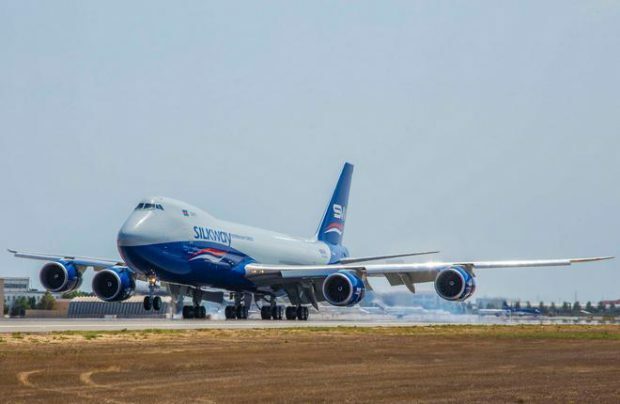 Silk Way Airlines, which is based in Azerbaijan, has taken delivery of a Boeing 747-8F, which is set to be operated by the airline’s cargo subsidiary, Silk Way West Airlines. The delivery of the new aircraft will allow the company to expand its geographic outreach, and to open up new routes to the United States, as was announced by Silk Way Group, the holding company in which both carriers operate. In particular, the new aircraft is designed to fly both on existing routes–which includes Milan, Luxembourg, Frankfurt, Istanbul, Dubai, Seoul, Hong Kong and Shanghai–as well as on planned routes to Chicago and Dhaka. The 747, with tail number VQ-BBH, was delivered directly from the Boeing plant, and is the fourth of such aircraft in the carrier’s fleet, the most prevous of which was delivered last year. The carrier expects to receive one more 747-8F, the delivery is slated for 2017. Besides 747-8, Silk Way operates 747-400F. The operator has recently chosen Dutch MRO provider Direct Maintenance to work on maintenance of its aircraft.